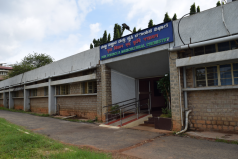 The leaf analysis laboratory of the Division of Soil Science and Agricultural Chemistry, ICAR-IIHR, Bengaluru is extending the soil, plant/leaf, irrigation water, manure/compost analysis facility to the farming community and company/firm. The main objective of the activity is to receive samples from individual farmers and company/firm and to analyze the samples for their nutritional status. Based on which the nutrient application through fertilizers and manures to meet the crop specific needs are recommended for better soil health management and enhancing economic return to farmers / clients. The analysis process will be completed within 20 days of receipt of samples in the leaf analysis laboratory. The information generated through survey of cropping enterprises in various horticultural crops is made use of for generating leaf nutrient and soil diagnostic norms. Keeping this information in the background the diagnosis of nutrient status is carried out and the need based fertilizer recommendation is made to prevent waste. The leaf nutrient norms have been developed for important horticultural crops. 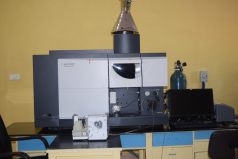 The leaf analysis laboratories throughout India make use of this information for precise recommendation of fertilizers. The water quality is also important for successful cultivation of many of the horticultural crops. The suitability or quality of waters for irrigation purpose is also tested for crops. 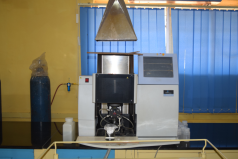 The laboratory also undertake manure/ compost samples analysis on demand by the farmers and other agencies. For further details contact: Head, Division of Soil Science and Agricultural Chemistry, E-mail [email protected] (link sends e-mail), Phone: 08028466420 extn. 323-329 Mobile: 09449816282.